It's a new month! I hope it'll be as good as the previous one. And this time, before the Catch Up Friday, I'm going to start posting my wishes for this month. ☑ Complete the "100 Happy Days" challenge. Done! You can watch mine "Here". ☑ Pick up my Fashion Design diploma. Finally it's in my hands! ☑ Be consistent on blogging, organize my daily time and make an editorial calendar. ☑ Enter a design contest. Still looking forward news. ☑ Comment in blogs and participate in link-ups. Checked and I love this! ☑ Read and learn more from posts of blogging, business and branding. ☑ Buy e-course for blogging. Bought Alex Beadon's "Feel Good Blogging" and it helped me a lot, loved it! 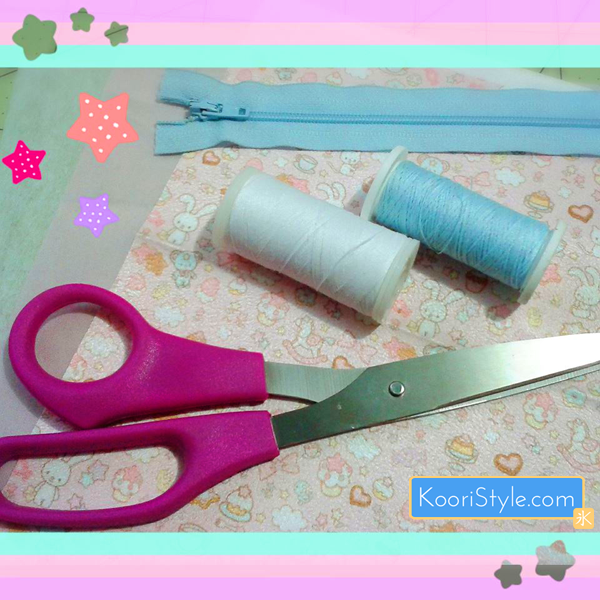 ☑ Make new labels for clothes & crafts. Done! I'm waiting for its arrival. ☐ Organize the re-opening for my Etsy shop at September! ☐ Decide if I should take more online workshops. ☐ Keep trying to stop being doubtful and overthinking stuff. ☐ Save some money to move this blog to Wordpress! ☐ Keep networking and meeting more wonderful bloggers ♥. ☐ Try a new online Challenge! ☐ Keep working on a Blog Series to launch at September. Now, moving to the Catch Up Friday! This week also had a good start! On Monday I received a fabric I ordered last month to make some tests with it; the texture and colors are great. The fabric is the new Spoonflower Faux Suede and the lovely design is is by kathrynrose. I'm going to try to make a cute pouch out of it. Through the week I made several changes to the blog layout, now it looks cleaner and brighter. And at the same time I kept working on some zippered pouches, which I posted a preview "Here". And finally I uploaded images of the sewing bag prototype "Here". Oh! And I took a free online workshop at ALT about Flipboard. It was interesting, I'll keep watching this App. I liked the idea of making an online magazine with topics that interest us. Overall it was a good, nice and relaxing week. How was your week? Leave a comment below to let us know and hope you have an excellent weekend ♥. Para el próximo mes deseo cosas como: organizarme mejor para re-abrir mi tienda en línea en Septiembre, seguir aprendiendo, planificar con tiempo (¡ahora debo lograrlo! ), ahorrar algo de dinero para mudar el blog a wordpress, hacer un desafío en línea, preparar una nueva serie de blog para Septiembre, y ¡empezar a aprender coreano! Además hice varios cambios en el diseño del blog y también seguí trabajando en el proyecto de bolsas que publiqué “Aquí”, y finalmente mostré la prueba del costurero que hice “Aquí”. Oh! También tomé un taller en línea sobre Flipboard. Fue muy interesante, seguiré revisando esta aplicación ya que la idea de tener una revista en línea con varios artículos que nos interesan suena muy bien! En general fue una semana buena, agradable y relajante. ¿Cómo fue su semana? Dejen su comentario abajo y espero que tengan un excelente fin de semana ♥.